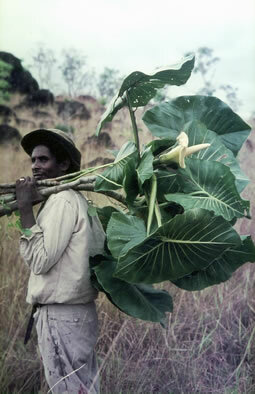 During our field work (1968 – 1970) aimed at the study of the vegetation of the Sipaliwini Savanna a considerable number of plant species was collected at the same time. Most of these plants were found on the savanna proper. For the rest they are species from the surrounding rainforest. Four separate lists are presented here. 1. Complete list of plant species (xls, 888kB) collected by Oldenburger, Norde and Schulz (ONS) during visits to the Sipaliwini Savanna in the period 1968 – 1970. Recent nomenclature (2008) has been used for this list. The collection is now part of the National Herbarium of the Netherlands. A parallel collection can be found in the Surinam National Herbarium. We thank Drs. M.J. Jansen – Jacobs, Editor Flora of the Guiana’s, for having made the ONS – list available. Since 1973 when our field work was completed and our first reports were written, some scientific names have been changed. This list contains the relevant synonyms. Other species have only recently been identified. 3. Alphabetical list (pdf, 888 kB) of plant species collected in the Sipaliwini Savanna Area during the 1910 – 1969 period. Included are collections made by Hulk, Rombouts, Wessels Boer, Van Donselaar and Oldenburger / Norde / Schulz (ONS). 4. Species List (pdf, 5,5 MB) arranged according to Habitat and Physiognomy of Vegetation Types. 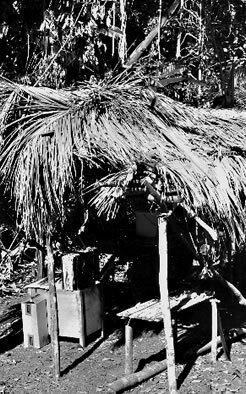 This list is part of our article entitled ‘Ecological Investigations on the Vegetation of the Sipaliwini Area in Southern Surinam’, to be found elsewhere on this site. With these plant species lists we follow in the footsteps of A.A. Pulle when he presented ‘An Enumeration of the Vascular Plants known from Surinam, Together with their Distribution and Synonymy’ (1906, Leiden : E.J. Brill).